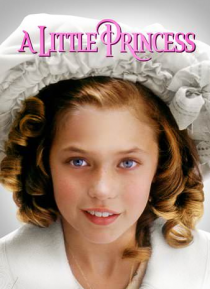 A wealthy, precocious and loving child is raised in India, but sent away to a New York boarding school by her beloved father when he must go off to war. But when he is declared "missing in action," daddy's little princess, alone and penniless, must use her inner resources of warmth, imagination and principles to overcome hardship. Based on the beloved Victorian-era novel by Frances Hodgon Burnett,… and adapted by screenwriter Richard LaGravenese ("The Horse Whisperer," "The Bridges of Madison County").